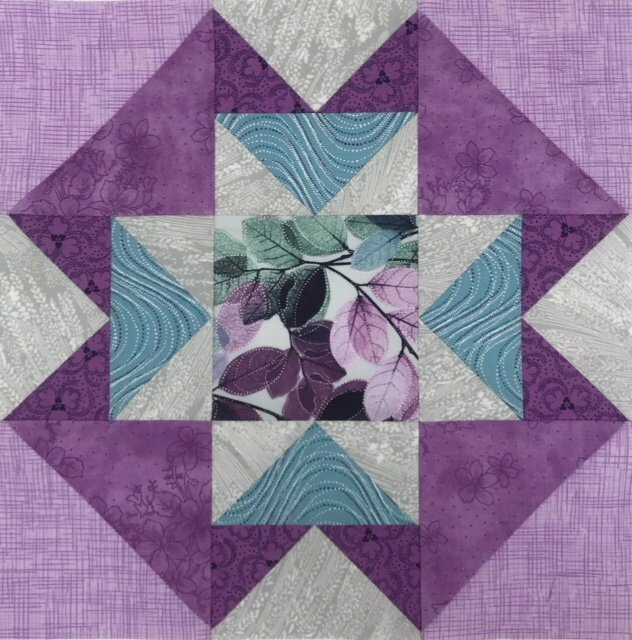 Frisky is sharing this attractive Garden Star Block for January! Come create one of your own. How do we do Block of the Month at The Quilter's Trunk? Build your skills as you build blocks! Each month you will be taken step-by-step through a different block construction. Join us for twelve consecutive classes - or just join us as you can - either way it's just $10 per class/session. Each month will be an independent lesson to create a 12 1/2" square quilt block (that will finish at 12" sq). From what you glean in class you can choose to incorporate your block into whatever project you wish. Your classes will cover a variety of options for cutting and constructing your block components. Tips, tricks, and technique step-by-steps will be the focus of each class. Great for beginners AND anyone wanting to hone their block building skills. But wait... there's more! As an added bonus, we will meet a thirteenth time, (April 2019), with options for you to assemble your constructed blocks into a complete quilt design. You're also encouraged to bring your blocks and projects for show and tell! The Block of the Month classes will meet on the second Wednesday of each month from 10 am - 3 pm.